This article is a review of BIG HERO 6. An E-number movie equivalent grows tiresome. Everything is written in neon; which is fine if you're a little kid, not so much if you're an adult looking for nuance and dynamism. THE INCREDIBLES, also a superhero actioner set in an alternate reality, is proving to be an aberration among mainstream animation; having a rare combo of smarts, emotion and breathtaking combat choreography. 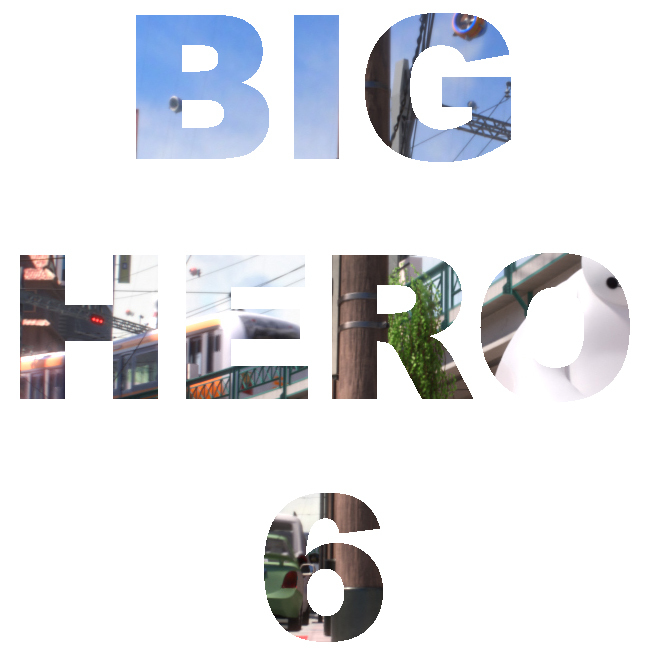 BIG HERO 6 tries so hard, everything dialled to eleven, making its shortcomings all the more glaring. Warning bells went off immediately during a back-alley bot fight (think a technological leap forward from television show ‘Robot Wars’); where young lead Hiro (do you see the level of name wordplay?) takes on an adult. Betting on such mechanical fisticuffs is illegal (perhaps after legislators saw the dire REAL STEEL?). Decimating his opponent, after hustling him, Hiro is rescued by older brother Tadashi – a parental figure, along with aunt Cass, in the wake of their parents passing. San Fransokyo is a stunning, parallel futuristic San Francisco, where the plot unfolds. Tadashi aims to shake his little brother Hiro, who happens to be a robotics genius, out of his current path, on to one that leads to the betterment of humankind. Baymax, an intentionally unintimidating inflatable healthcare android is Tadashi’s masterwork; inspiring Hiro to complete his own project, to get an early place on the programme at San Fransokyo Institute of Technology. Discovering the kabuki-wearing masked thief of his project, Hiro begins to arm Baymax and enlists Tadashi’s robot lab pals to discover and punish. “Our origin story begins,” Fred, stating the obvious for those that have never seen a superhero movie before. One was so excited to see a Japanese inflected Disney cartoon, but these filmmakers did not deliver. Imagine what a Brad Bird or an Andrew Stanton might have achieved! A possible positive concomitant to BIG HERO 6 is getting young people into science.